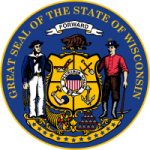 In the state of Wisconsin, child support is not taken lightly. The department of children and families holds it that both parents are responsible for their children’s wellbeing regardless of whether they are together or not. In that case, there should be shared child support responsibilities in case of separated parents. Once a parent decides not to make payments for child support, the other parent can file a complaint. Step 2: Fill the form with all details of yourself, the paying parent, children and other information as required. Step 3: Read the terms and sign it at the bottom.